Hi folks! My good news here is that I finally finished a garment! That plaid flannel shirt that I was making my husband is now on a hanger in his closet. And, the plaid not matching in a few places doesn’t actually bother me at all since, overall, the plaid actually matches pretty well. I hope to get photos of him in it this weekend and get a post up next week! But, my brain must be full of sewing cobwebs because I had to rip out almost every single seam and restitch. Have you ever had to resew a placket after already slicing into your fabric? It’s not for the weak of heart! But, the first time around I’d matched right sides together when I needed to match the right side of the placket with the wrong side of the sleeve – as it was first sewn, the placket was on the inside! Now look at it! The plaid is even a decent match! Also, the fact that the entire shirt is flat felled and top stitched means that pretty much every seam was sewn three times. The first wrong time, the second right time, and the third finishing time. Whew. I feel my sewing groove coming back on though, and I’ve already pulled out the next thing I want to make! Anyway, as it’s a very special Pi Day, I’ll leave you with a crazy video all about pi that I’ve loved ever since my graduate school days back at Caltech. 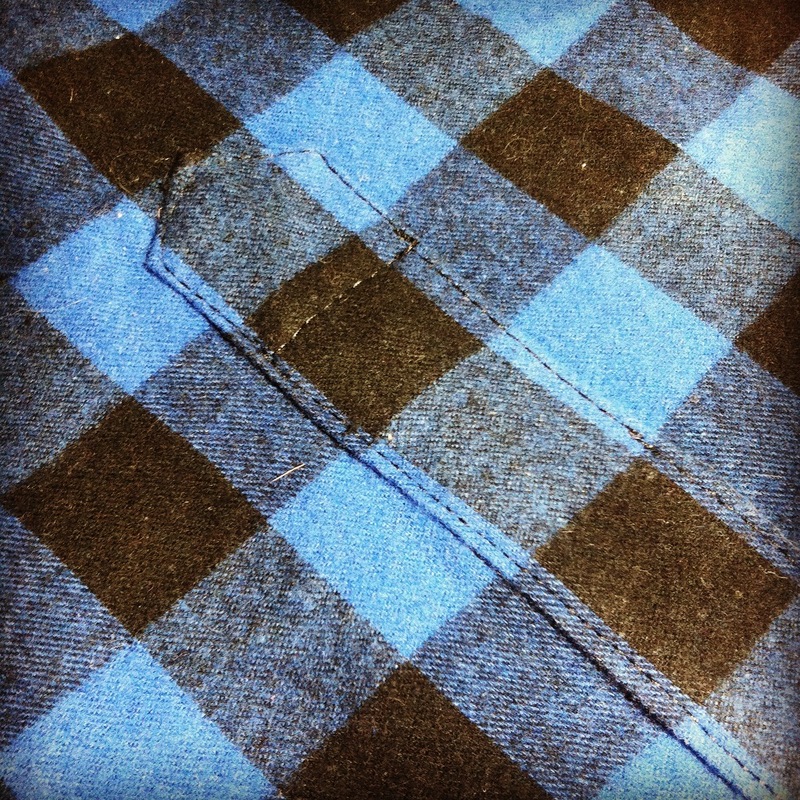 Beyond impressed by the placket matching! And never heard of Pi day before – (in Australia we say the day before the month!) – it does get my geek on, thanks for sharing! You should celebrate Pi Day on 31/4/15! Thanks! The shirt is not perfectly matched everywhere, but I tried my best to match, and I learned from the places where things didn’t match so well. I love your topstitching on the placket too! Sometimes the most agonizing things come out the best in the end! Thanks! It’s pretty good considering I didn’t pull out my special edge stitching foot. I had my walking foot on my machine to try to help with the plaid matching, and I couldn’t be bothered to take it off when it came time to topstitch.